Speaking in public is difficult for most of us simply because we never do it. At most, we interact with a small group. Without conditioning and training, it is tough to do any task, you need to develop skills in public speaking by building your knowledge and skills in it. 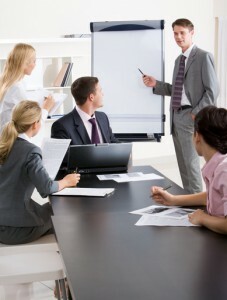 Training in public speaking provides skill development in planning, preparing and presenting a presentation. 1. Know your Audience: It is essential that your material engages the audience. Use humour, anecdotes and interesting incidents in your presentation to retain the interest of the audience. 3. Create an Outline: Building an outline of your speech will help you to make corrections before you have written it. Gather all required materials before you create the outline. Review it once or twice before finalising it. 5. Read Aloud to Edit: After you have finalised your speech, read it aloud to listen to notes that do not sound right. It might be a complex sentence, an archaic word or a humourous anecdote that does not sound funny after all. 6. Mentally Prepare: A good way to mentally accustom yourself to the event is to visualise it in your mind. Before you deliver the presentation, imagine yourself doing so. Do it again and again to make your mind familiar with the idea.